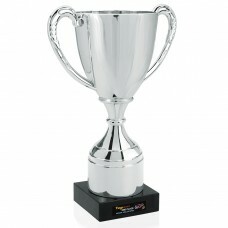 Stunning in gold or silver, this trophy is sure to please your number 1 player or team.Sits on a bla..
Great for little leagues, this trophy is small and light. Perfect for motivating little ones.Plastic.. 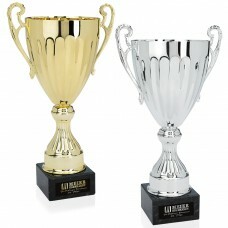 Item #36713Great for little leagues, this trophy is small and light. Perfect for motivating little o.. 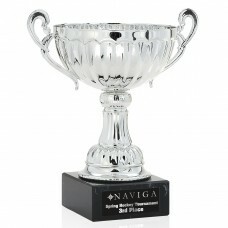 This elegant all silver trophy is perfect for awarding your Most Valuable Player!Silver trophy cup w..